(RxWiki News) Has it been getting harder for you to breathe? Maybe it’s the weather, but it could be COPD. Chronic obstructive pulmonary disease (COPD) is a condition that makes it harder and harder for you to breathe as it worsens. The reduction in airflow with COPD can happen due to a combination of different events. For example, the air sacs may become less elastic, the walls of air sacs may be damaged, the airway walls may thicken and become inflamed, and the airways may make more mucus and can become blocked. Chronic bronchitis and emphysema are the two most common forms of COPD. Chronic bronchitis is a condition in which the airways in your lungs are constantly irritated and inflamed. This leads the airways to swell and produce lots of mucus. The mucus clogs the airways and makes it harder for you to breathe. In emphysema, walls between the air sacs are destroyed. This leads to less area for oxygen to come in and carbon dioxide to go out. COPD is the fourth leading cause of death in the United States. It affects almost 16 million diagnosed patients and millions more who are undiagnosed. COPD is most commonly seen in people over the age of 40. Smoking is the leading risk factor for COPD. Almost 75 percent of people diagnosed with COPD are current or former smokers. Aside from smoking, extended exposure to air pollution, certain chemicals, dust and even secondhand smoke can lead to COPD. More and more symptoms of COPD start to appear as the disease progresses. The most common symptom associated with COPD is a chronic cough. With the cough comes mucus. This is commonly known as a smoker’s cough. Other symptoms you might see include shortness of breath while doing certain activities, wheezing and chest tightness. The longer you wait to get diagnosed and treated, the worse the condition becomes. How severe your symptoms are will show how much lung damage you have. And seeking treatment early can stop the condition from progressing. Having COPD can put you at an increased risk of developing several other medical conditions. For example, you will be more likely to get repeat infections like pneumonia, and you may face a higher risk of complications from colds and the flu. People with COPD often have other chronic conditions, such as diabetes, heart failure and arthritis. If you think you might have COPD, get examined by your doctor right away. Your doctor will collect a medical history and perform one of the pulmonary function tests to determine if you have COPD. The pulmonary function tests, like spirometry, will allow your doctor to see how well you breathe and how severe your COPD is. COPD does not have a cure, but with proper treatment, you can achieve symptom relief, slow disease progression and improve your overall health. Bronchodilators, both short- and long-acting, are commonly used treatments. Bronchodilators work by relaxing the muscles around the airways, allowing the airway to become larger, which makes it easier to breathe. Inhaled steroids, which work by reducing the inflammation in the airways, are sometimes combined with bronchodilators. This is usually in more severe cases or if symptoms flare up too often. The type of inhaler your doctor prescribes will depend on the severity of your condition. 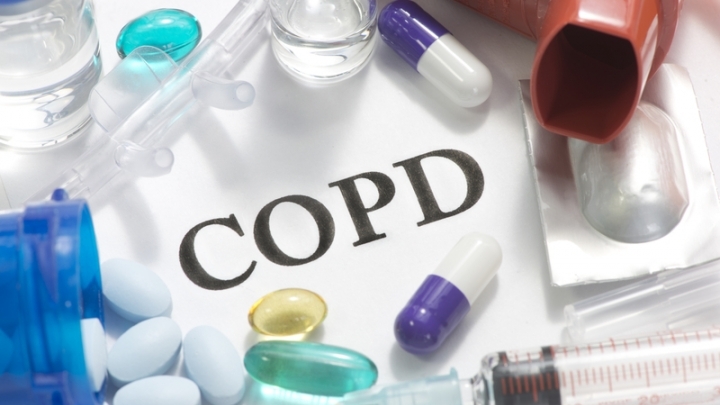 For mild COPD, you might be prescribed a short-acting bronchodilator that you only need to use as needed. More severe COPD will require a combination inhaler that has long-acting medications that you need to use one or two times daily. 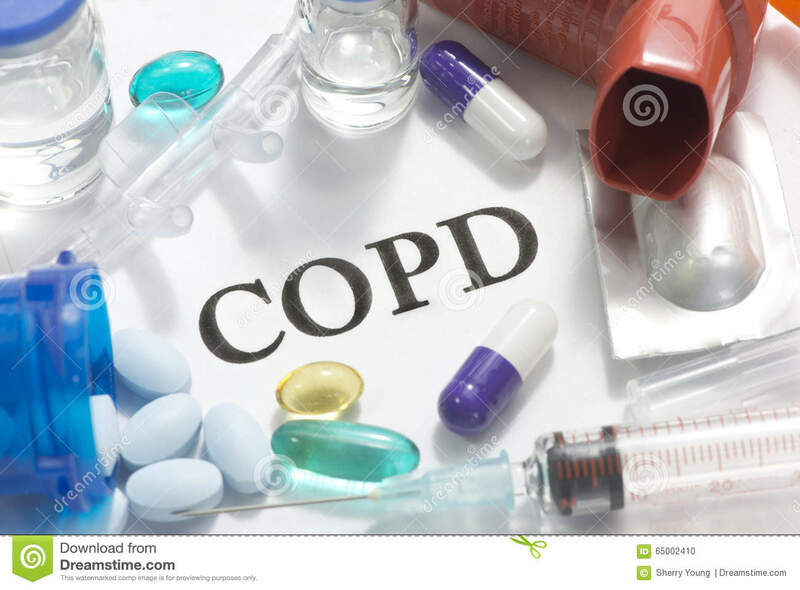 There are several other treatment options for COPD. Talk to your health care provider to see which one will work best for you. The best way to avoid getting COPD is to never smoke or to quit smoking. Avoiding other irritants, such as chemicals, dust and air pollution, can also help prevent COPD. If you have COPD and you quit smoking, you can slow the progression of your condition. Talk to your health care provider if have any questions about COPD or other breathing disorders.